Big Brother Naija 2018 star and USA returnee, Antoinette Munirat Lecky better known as Anto has just wowed everyone with her creativity. Apart from being astonishingly brilliant, the dark skinned beauty also possesses the best natural hair ever and alot of fans admire that about her. 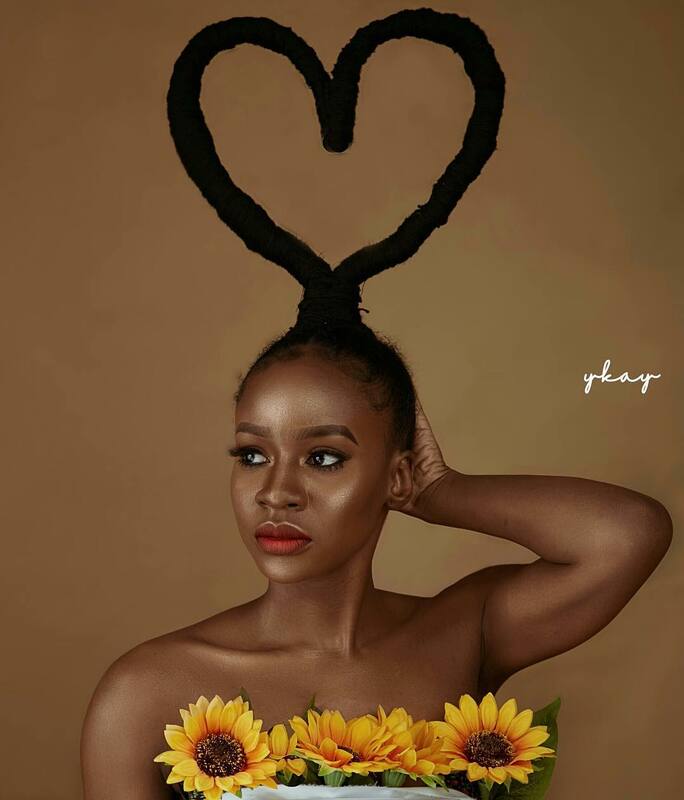 She took to her IG page to celebrate Val's day with a photo flaunting her beautiful long hair in a very spectacular way. Looking breathtaking in a gigantic love shaped hairstyle, the young Ambassador posed for the camera, with a caption beckoning on people to purchase her hair products. For hair that you’ll love, get the @antoxtarieshairbuilder luxury hair care line ❤️💛"
Best hair product advertisement ever, don't you think?